Today’s guest post comes from Joanna at It Girl Health. I don’t know her all that well, but I think that this might be the beginning of a beautiful friendship! I like knowing people from all aspects of the foodie community, from vegan to bakers, healthy to not-so-healthy, and everything in between <3. Joanna is bringing a healthy recipe to the table today, enjoy! Hi ladies and gents- my name is Joanna Hiller from It Girl Health! I am a Certified Holistic Health Coach (I help people find their groove again, find their zest for life, lose weight that will last a LIFETIME, not just through bikini season. 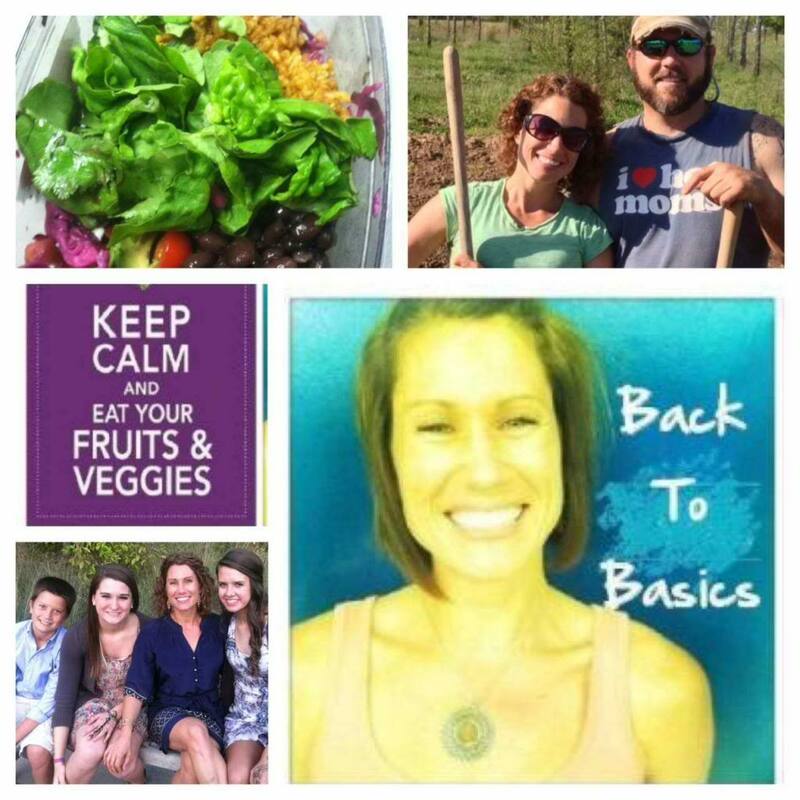 My blog, which is also my website, It Girl Health has been up for almost a year! On a personal note, I am the mama of three kiddos, just got engaged to the love of my life, will be getting married in September and am opening my kitchen office space next month – yea.. things are hectic and I love it! Down here in the South, South Carolina to be exact, we like to visit. We visit relatives, friends and even strangers sometimes… These visits aren’t a quick knock on the door type of thing. They are state of the state sit-downs where tears, smiles, laughing and the occasional gossip happen. It is customary to come bearing gifts in the form of sweets, to these tete-a-tetes and most of the time they are NOT very good for the body and certainly not good for keeping a balanced blood sugar level. Enter my recipe for Slap Yo Mama They Are So Good Dates! Did you know that dates are the oldest cultivated health food? They are chock full of nutrients such as: Vitamin A, Retinol Activity Equivalent, Beta Carotene, Lutein + Zeaxanthin, Vitamin K, Niacin, Vitamin B6, Folate, food Folate, Folic acid, dietary Folate equivalents, Pantothenic Acid, Choline, and Betaine, Calcium, Iron, Magnesium, Phosphorus, Potassium, Sodium, Zinc, Copper, and Manganese. And do you know what the best part is???? The taste AMAZING and are a natural energy source! Open the date up (filet it like) and spread a heaping teaspoon of the mixture in the middle of the date. Once the filling is in, squeeze both sides of the date up. 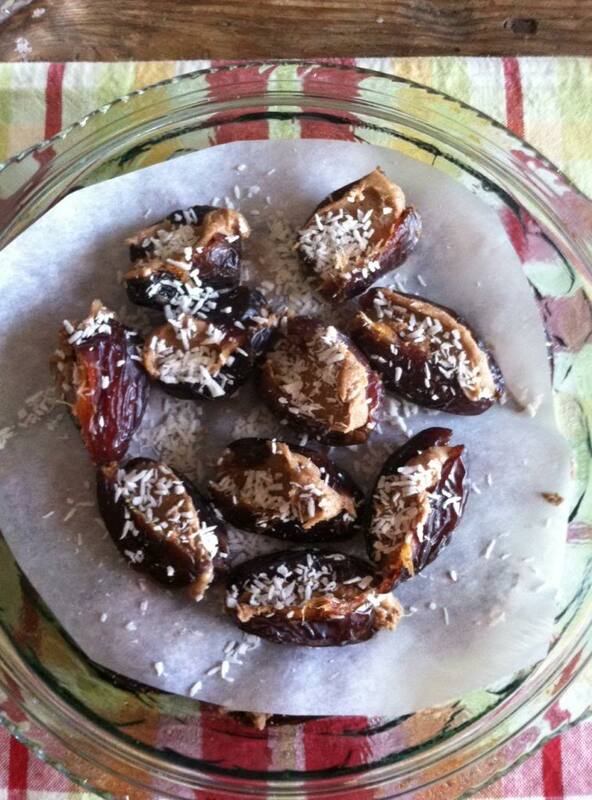 Once you’ve filled all the dates, arrange them in or on a platter and sprinkle generously with the coconut. If you have more than one layer, cut a piece of parchment paper to go in between. You can also follow me on Twitter and Pinterest, and I’m going to be starting a Facebook page soon ! If you are interested in learning more about health coaching, shoot me an email at: [email protected] I do one-on-one sessions, group session and even Skype/telephone sessions!